Any questions may be sent via email or by calling 207-858-1812. Notice: Somerset County is an equal opportunity employer. 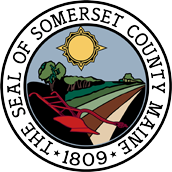 All Applicants who are offered Employment by Somerset County will be tested for Substance Abuse. For a copy of our Policy and the State of Maine Statute please visit the Employment Page of this website. Please type the position you are applying for. All applicants who are offered employment must provide documents which establish their identity and employment eligibility for authorization to work in the United States. Are you legally eligible to work in the United States? *Proof of degrees from college / university will be required upon hire. Please type your approximate typing speed. Please type your experience with software. Please type your experience that qualifies you for the position. List your last 4 employers, assignments or volunteer activities, starting with the most recent. May we contact the employer if you are considered the position? It is understood and agreed that any misrepresentation by me in this application will be sufficient cause for cancellation of this application and/or separation from the employer's service if I have been employed. Furthermore, I understand that just as I am free to resign at any time, the employer reserves the right to terminate my employment, with just cause. I understand that no representative of the employer has the authority to make any assurances to the contrary. I authorize Somerset County to perform a background investigation in connection with my application for employment. This investigation may include information as to my credit, schools attended, police convictions, Division of Motor Vehicle records, personal references, professional references, previous employers, present employers, polygraph results, and any other appropriate sources the Somerset County Commissioners deem necessary. I authorize the release of any information that Somerset County may request from the above sources. A copy of this release shall be as valid as the original document. I also understand that all information received by Somerset County in connection with this application and background investigation is confidential.